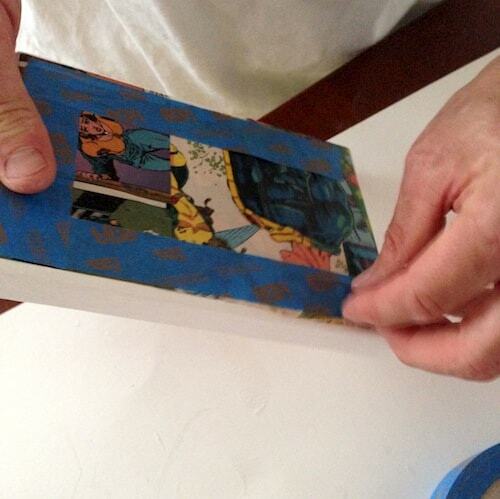 Use comic books (or color copies!) 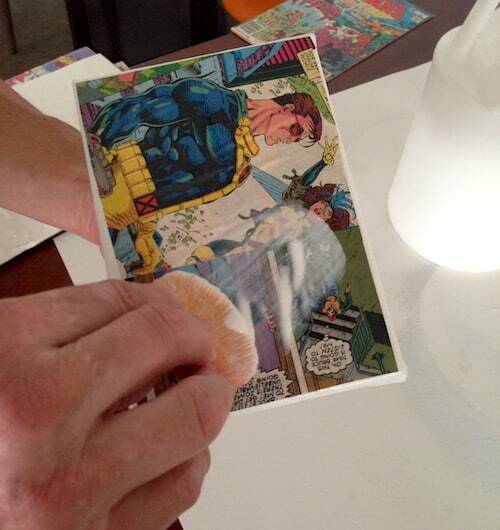 and Mod Podge to make this DIY superhero canvas craft – a great gift for guys or any comic book lover! I'm a big fan of comic books. I'm kind of a nerd, but also I grew up with four brothers. So they were constantly around my house. The funny thing is that I don't actually read them, but I do love the artwork. 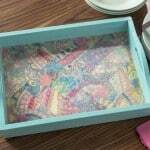 And I love using them in craft projects. 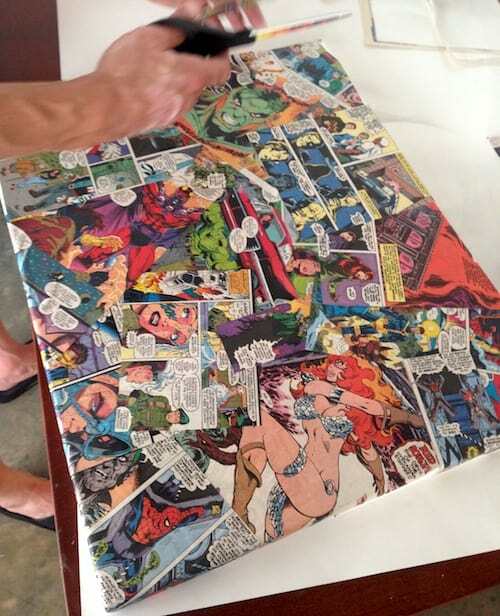 My boyfriend and I recently decided to do something for my loft, so we settled on this DIY superhero canvas craft. And we definitely wanted words on there too. So here's the thing about wood letters – they are hard to find. By “hard to find” I mean that 1) I use them a lot and 2) I can never find the right font I want and size that I need at the craft store. They just don't have a big enough selection. That is where Craft Cuts comes in . . . this online shop is amazing because you can choose any wood letters you like, in any font you like, and in any size you like. They also do wood shapes, vinyl and monograms. 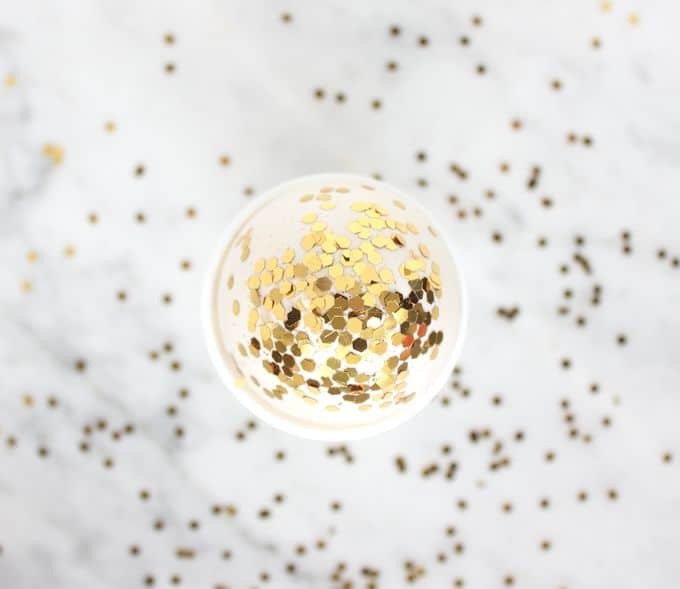 Seriously – take a peek at Craft Cuts because they have everything you need for a home decor project. They are amazing! So back to the comic book canvas. The brightness and boldness of our project completely tickles my fancy. What do you think? Here's how we made it. The first step was to lay out our canvases and wood letters to get an idea of how we were going to organize the project. My boyfriend had the brilliant idea of raising up the words on three smaller canvases to give it some texture. BOOM. 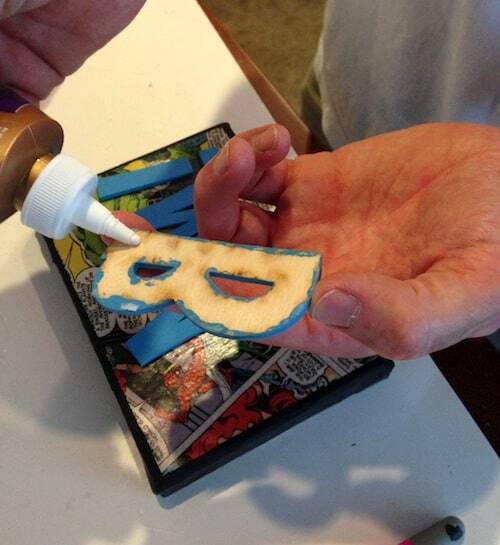 Paint the wood letters in the comic book colors of your choice. Of course you need to go bright. The letters were awesome quality (always a concern with wood letters, but not this time!). Set those aside. 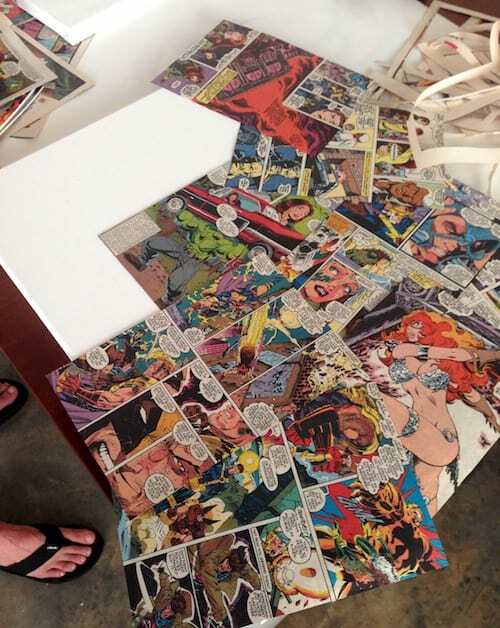 While your wood letters are drying, begin by tearing out comic book pages and laying them out on your canvas so you can see what you want to do. We just kept overlapping the pages. Then we Mod Podged them down and trimmed around the edges. 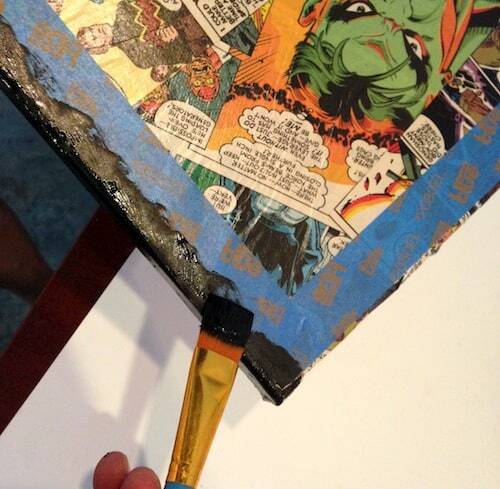 Add a medium layer of Mod Podge to the canvas, put the comic book page down and smooth. Let dry for 15 – 20 minutes before putting on a top coat. One trick I use with a canvas is to turn it over and smooth from the inside. Since canvases are so flexible, that works nicely. 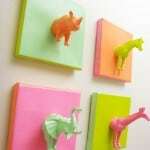 Do this with the small canvases too and let everything dry. Then BF had yet another brilliant idea to make the canvases really pop and look more like comic book strips – so he taped off the edges . . .
and painted black around them. Awesome, huh? Then let dry. 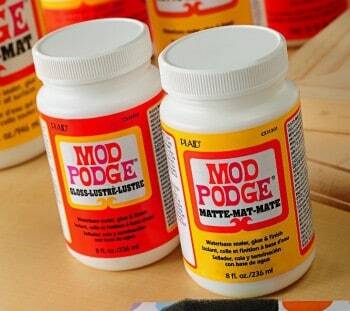 Once it's dry, you can glue everything together with craft glue. 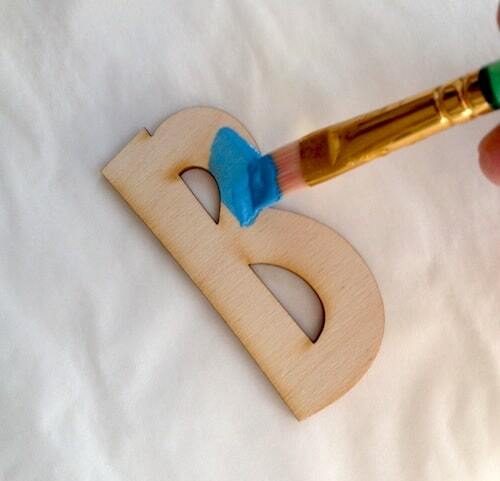 Glue the letters down and glue the smaller canvases to the large one. Because sure to use enough craft glue on the smaller canvases. 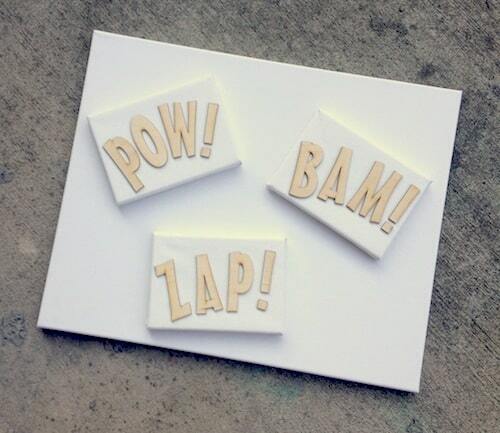 Your superhero canvas is complete. I love my comic book canvas. Huge thanks to Craft Cuts for the awesome letters – and check out their selection immediately. 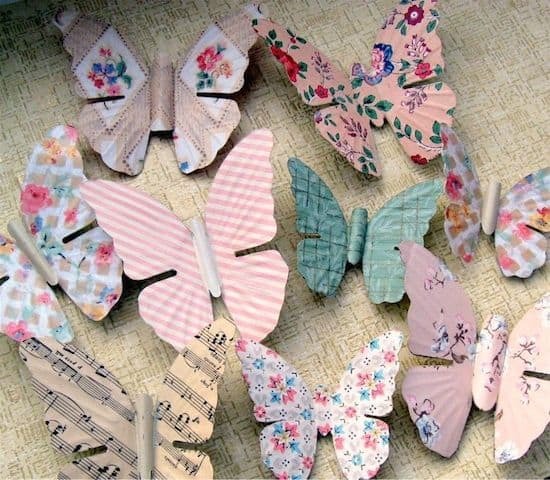 You are sure to find something you'll love for your next decorating craft project. This is an AWESOME craft!!! Thanks for sharing!! Wow, this is such a brilliant idea! Thanks so much for sharing ! This is brill! Perfect for my brother who is obsessed with comics! THANK YOU! 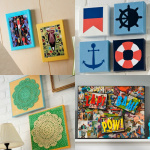 Where did you buy your canvases from? Hi Lorrianne! We got them from Michaels. I love this! I have no idea where to buy a comic book. Where do I start?